Gregory Bell and and Illario Olivi. The good old days weren’t always so good. For decades, finding spare parts for the machines that keep your production process up-and-running could be time consuming and tedious. But that was then. This is now and that means Parts Sophia, an interactive, easy-to-use, multi-lingual and multi-platform tool that’s at your fingertips to keep you connected 24 hours a day, 7 days a week. Parts Sophia is always available, ready to take requests for quotes and orders, provide pricing, and verify whether a required part is in stock. 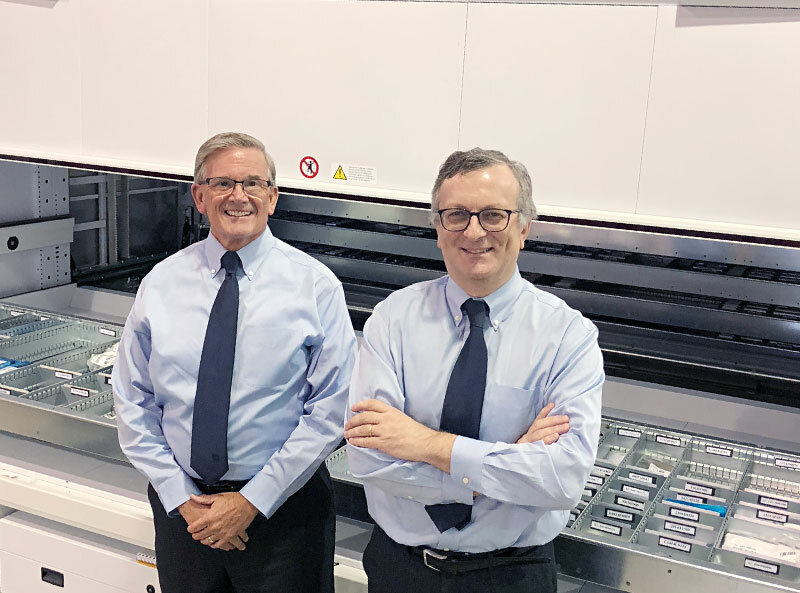 Parts Sophia has now celebrated its first birthday in North America and has proved to be a welcome innovation. Gregory Bell, North America parts quality assurance leader, says Parts Sophia is very simple and intuitive. “The system will automatically associate all of a company’s machines to a user account. Parts Sophia a valuable tool for the maintenance team as well as the purchasing agent. Maintenance can find the part code and open a request to the purchasing agent.